The CAL 2 program is a continuation and extension of the CAL1 class. It brings an advanced education deepening the concepts discussed in the CAL1, validated practice, and peer-based sharing program that consists of learning and practice. 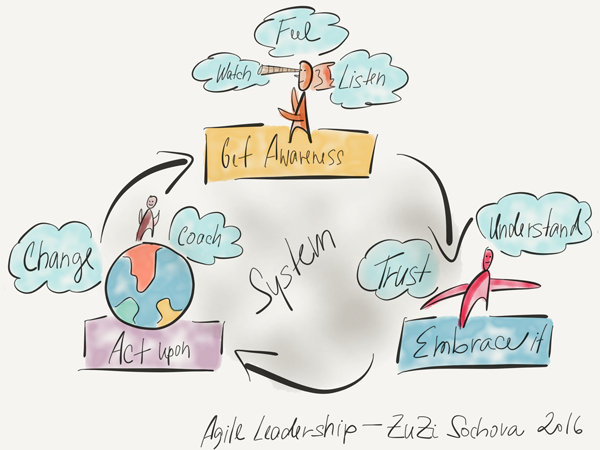 The goal of CAL 2 is to guide leaders in deepening, applying, and sharing their Agile leadership learning. 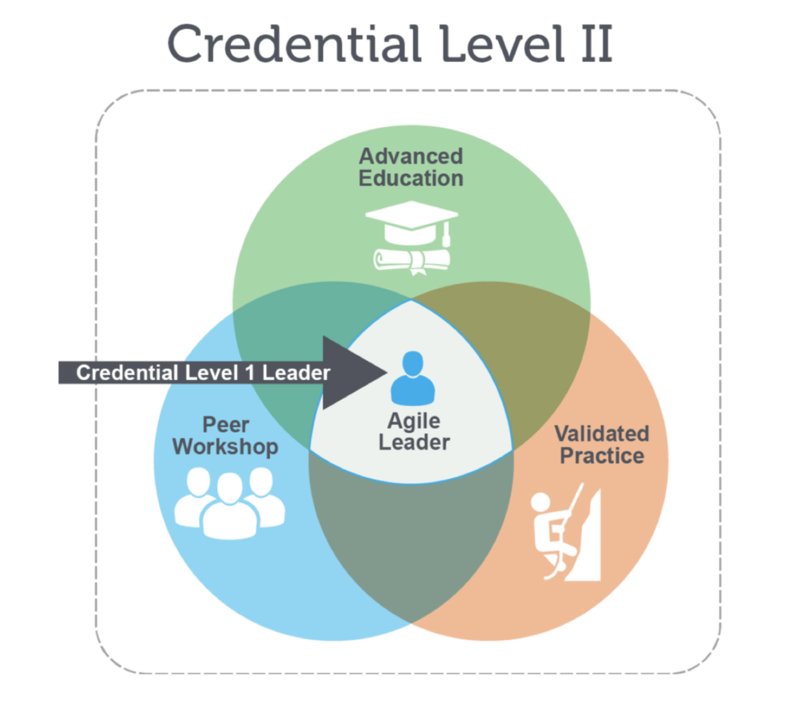 CAL 2 requires a CAL I credential and successful completion of the advanced education, validated practice, and peer-based sharing requirements. Participants are expected to document and share their experience and learning in a CAL II Experience Report for each category and share it with other participants in their cohort to discuss, analyze, and share feedback for mutual learning. 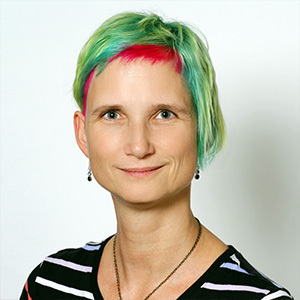 All participants need to actively participate in all facilitated peer-based workshops with others in the program. Get access to the community network of participants and get the opportunity to collaborate with an international group of leaders experiencing a similar context. What is the CAL II Program structure? The program is distributed in the 8 months and is structured into three different areas. Leadership development– is focused on personal development and enhancement of individual leadership skills. Each participant will get their Leadership Circle Profile. Leadership Circle Profile assessment measures and provides leaders feedback through the lengths of two primary leadership domains – Creative Competencies and Reactive Tendencies – and integrates them into visuals so key opportunities for leadership development rise to the surface. The profile includes the debrief follow up and coaching session with Leadership Circle Certified Practitioner Coach. Extended education is building on top of the theory and concepts discussed at the CAL1 class, and consists of 4 modules of deep dive into the following areas. Extended education consists of individual preparation, education modules facilitated by CAL Educator, peer workshops, teamwork, and individual experience report preparation and feedback. 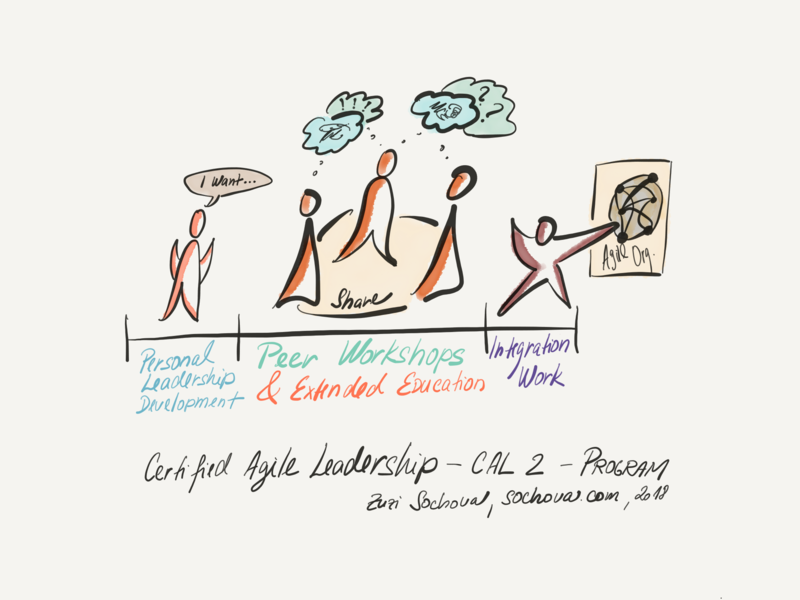 Peer Workshops are the core of the CAL2 program. Through the peer collaborative sessions, you gain practical experiences and have time to critically evaluate the practical usage of the discussed concepts. Participants will share at least one of their CAL II experienced reports with their cohort and discuss, analyze, and share feedback for mutual learning. Such module reports are the building blocks of the final individual experienced report. Each module includes individual pre-reading/listening, team discussion around different case-studies, teamwork and experience sharing with other leaders in the group and working on the individual experienced report. Expect to spent about 8-12h per module working time, plus some time for individual reading. Integration Work– is the last step of the CAL2 program. The program is finished by the individual experience report summarizing the learning journey and application of the concepts discussed during the program that will be validated by the CAL Educator. The experience report is created during the whole program and participants get feedback on it during the peer workshops. 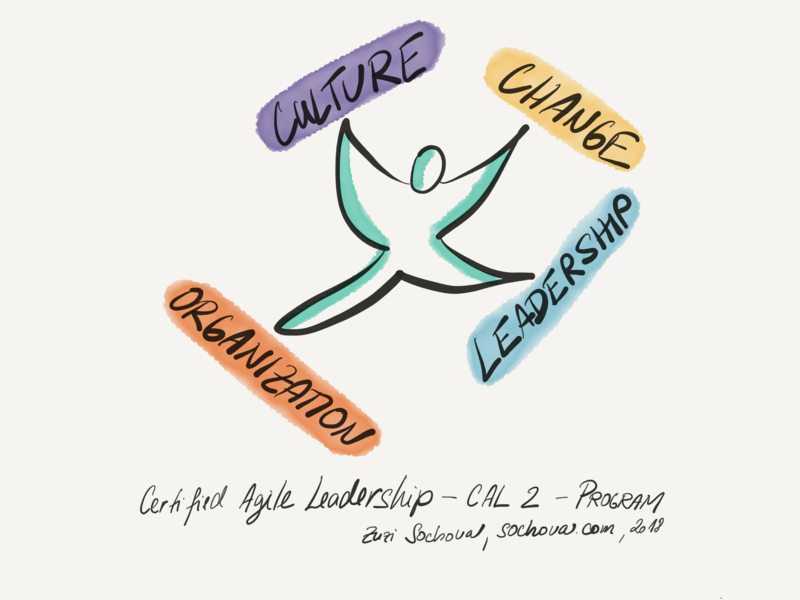 The experience report shall cover all four areas (Organization, Culture, Change, and Leadership) and describe jour leadership journey during the CAL program. Upon successful completion of CAL I and CAL II (including the validated experience report), you will be eligible to apply for the CAL Certification. As part of your application, please write us a short paragraph about yourself as an Agile leader, describe what is the goal you want to achieve in this program. 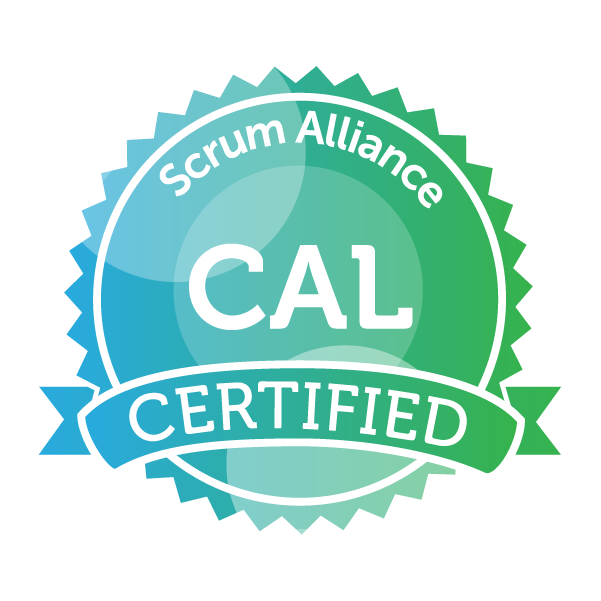 I successfully completed a CAL I training, with a Certified Agile Leadership Educator accredited by the Scrum Alliance. I’m committed to personal and organizational leadership growth. I’m willing to join and actively participate in the 8-month program and share my learnings and aha moments with the other people in my cohort and summarize my learning in an individual experience report. 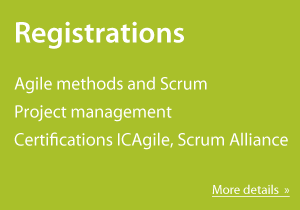 Certification will only be granted to participants with full participation in the program. You are welcome to join the program without going through the full certification process. The dates of peer workshops and team work are flexible and will be discussed during the program.